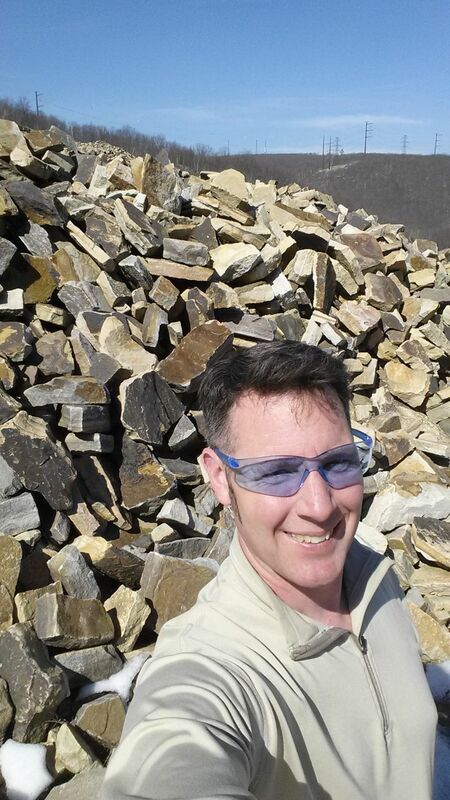 Mark Jurus has been working with stone since 2007 and started his certification process in 2009. 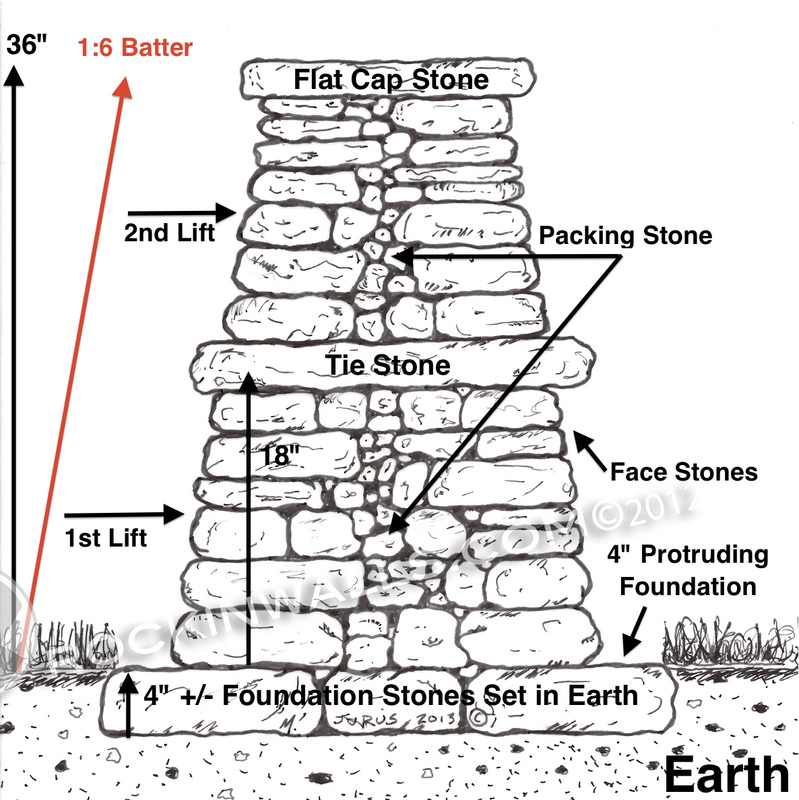 Currently dual certified both with Dry Stone Conservancy (​DSC)​ US Level 2 Journeyman and Dry Stone Walling Association (DSWA) ​of Great Britain Level 3A. Mark holds the highest certification in surrounding states. In addition Mar​k is also a certified instructor and ​in 2014 set up the Rockin Walls Training Center. Mark and the Rockin Walls Training Center are both dedicated to training and DSWA certification. 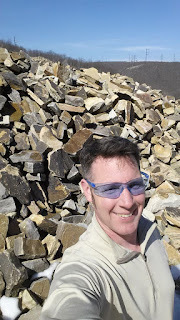 Mark has been certified by several of the leaders in our industry, which includes Neil Rippingale DSC/DSWA Master Examiner from Scotland, Dan Snow DSC/DSWA Master Examiner from Vermont, Chris Tanguay Master Craftsman/Examiner DSWA-GB, DSC-US, and Brian Post Master Craftsman/Examiner DSWA-GB, Executive Director The Stone Trust VT, Licensed Landscape Architect VT. Neil has worked extensively with National Park Service (NPS)​ in the US for over 15 years and Dan is widely known ​for​ his creative stone art as seen in his two books. 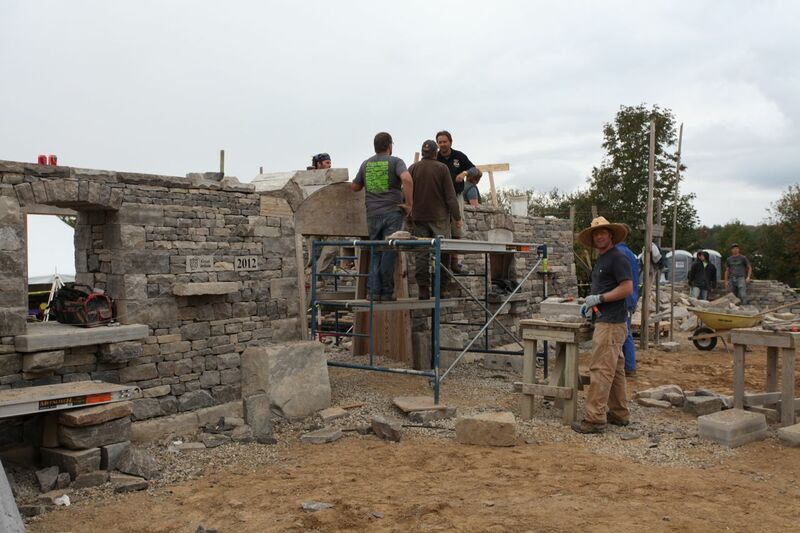 Mark has also worked on projects in Canada with DSWA Master/Examiner Dean McL​ellan 2012 StoneWurx and 2014 Willowbank School building two of the newest ​and largest inhabited dry laid stone structures in North America. 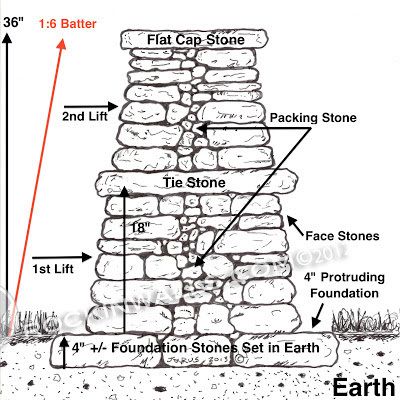 • Natural stone can be recycled or easily repaired therefore making it a GREEN building material. 5-6/2017 Delaware Water Gap PA NPS, Bridge Retaining Walls, 1 side failed due to wash out the other side due to improper building methods. 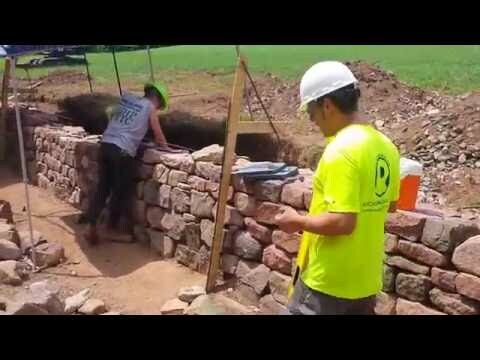 Build, Rebuild - New/Old PA Blue Stone native to site with approval, 3 weeks training, 3 teams of Road and Trails NPS Staff.